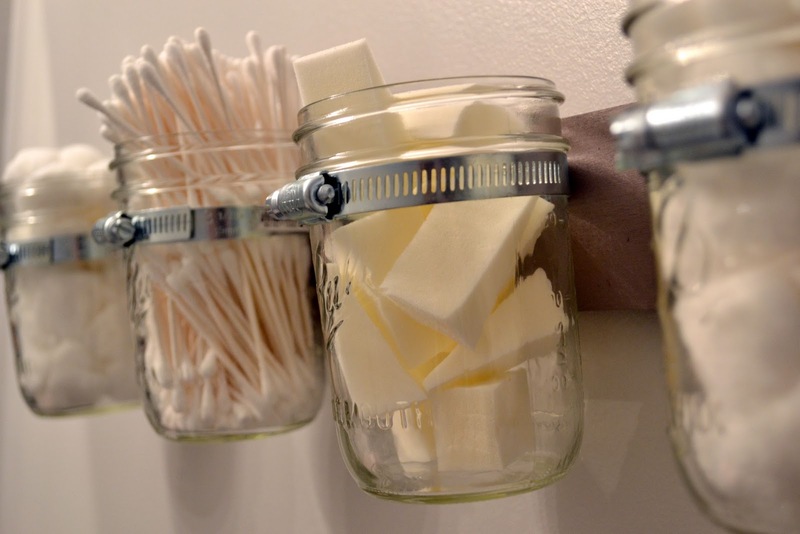 DIY mason jar bathroom storage…. 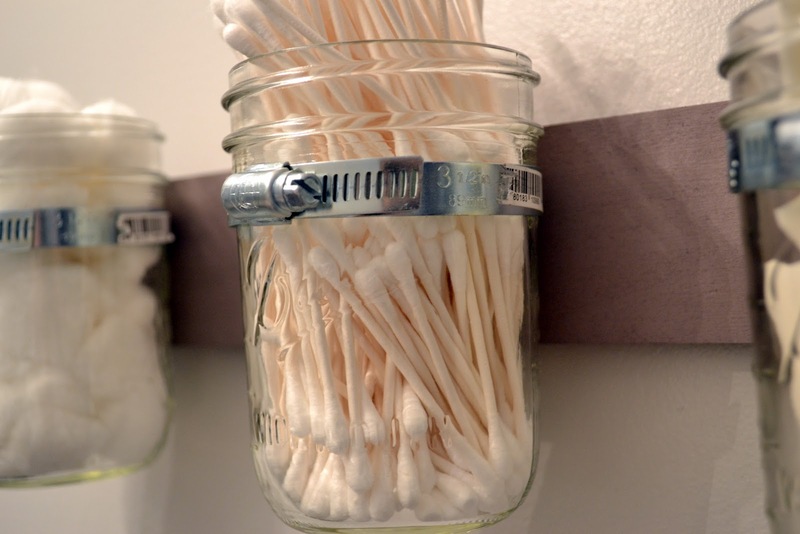 Amazing storage, & it’s with my favorite thing ever, MASON JARS! 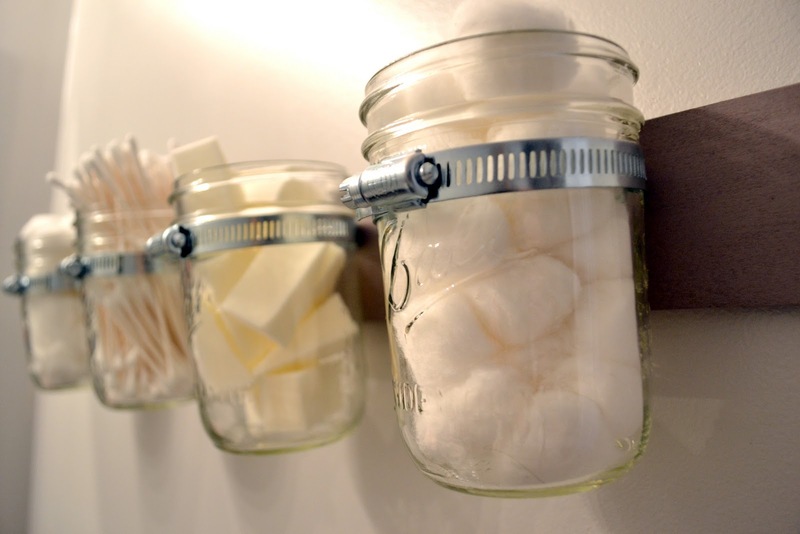 but you could fill yours with virtually anything that fits in a Mason Jar for any room. my husband is? Love him more than anything in the world.. 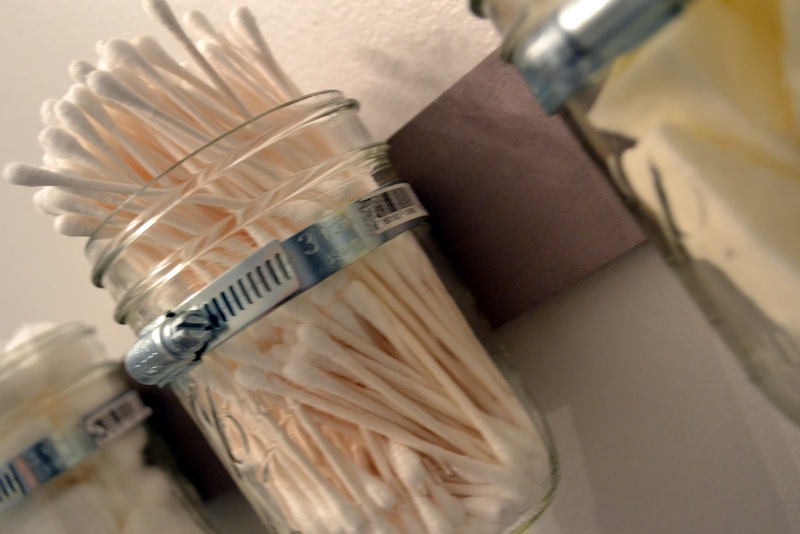 I hope you liked my Mason Jar storage as much as I do! Am I the only one who loves Mason Jars this much?! There has to be more people out there who love them as much as I do! 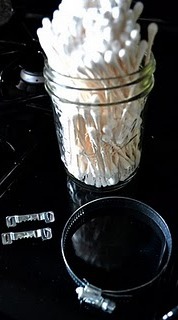 Let me know if you love them as well & go to the Liz Marie Blog Facebook page & share pictures or comments of mason jar love. This is great idea! 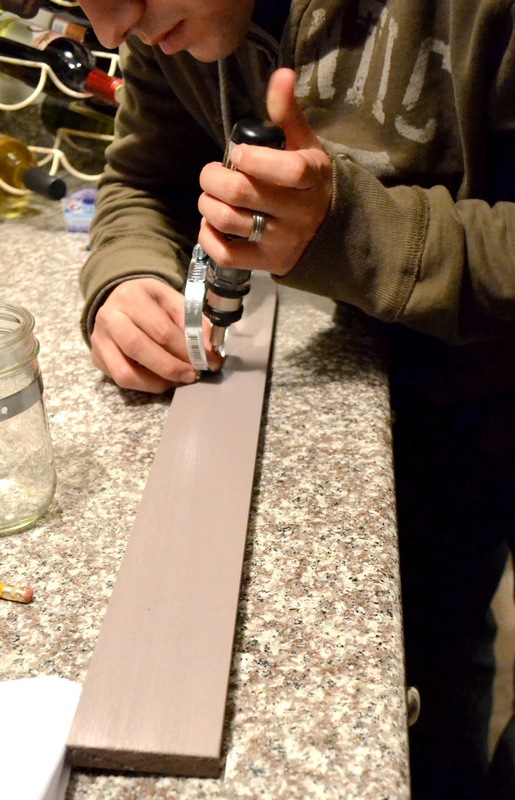 Husband and I are going to do this and also make spice rack with using same technique. Thank you for great ideas. How did you attach the clamp to the board? We attached the clamp with a wood tapping screw & a drill. Hope that helps!